A very chic and sophisticated menu board. The red,white and multi-colors with graphics presents an upscale menu board for upmarket clientele. 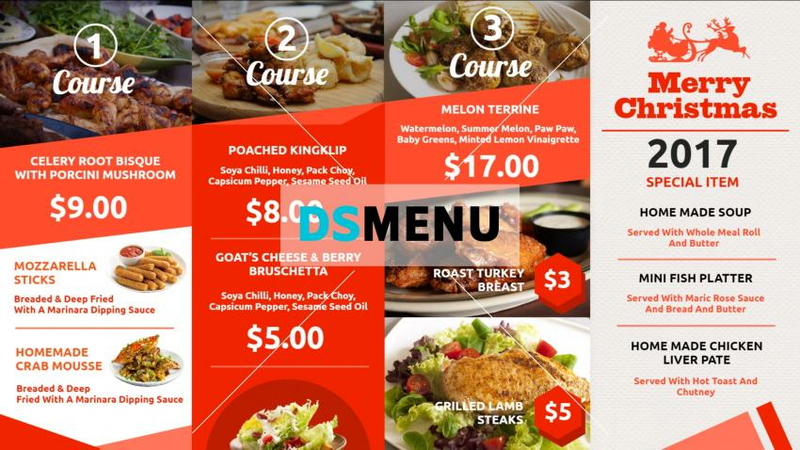 The three course menu is aptly advertised with respective price points. On a digital signage platform this menu board will have a scintillating impact , and will certainly draw-in the customers.